10. 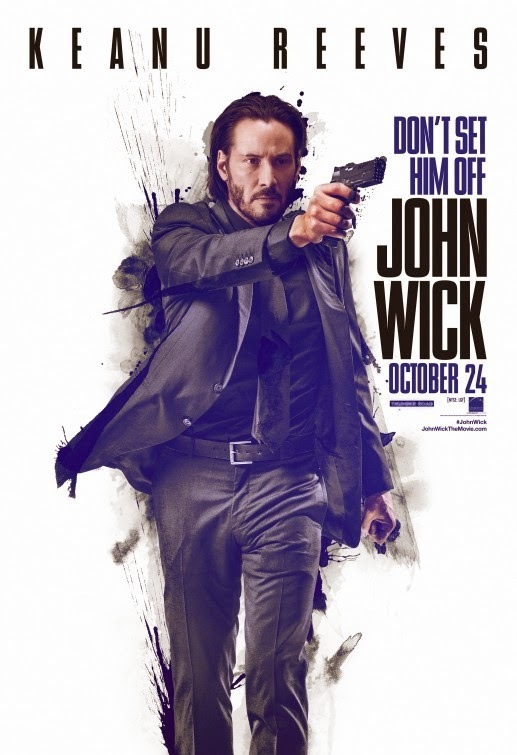 John Wick. Honestly, I am as surprised as you are, but this was an excellent action film that cruises on a level of purity and execution not often seen in a mainstream action flick. It is a movie that moves unencumbered by overly complicated plots. It is a movie that scales back the unnecessary elements, leaving behind the essence of what it is that we really want. It is a movie that lives and dies not by plot alone, but by execution of action, by style, by swagger, and by sheer force of will. It just turns out that driving force of will is personified on screen by Keanu Reeves, an actor whose general woodenness is the thing of legend. Even more surprising is that he is perfect for the role. 9. 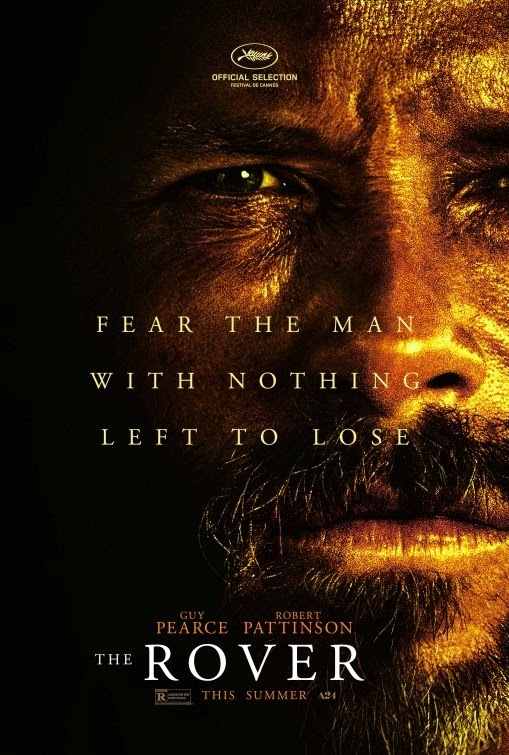 The Rover. This is a movie that is about as grim as they come. This movie is not about having a good time, it is not about a character revealing themselves in dialogue. It is not about a happy ending or exploratory flashbacks. It is a man with nothing left to lose trying to get back that one thing for reasons he does not need to explain to anyone. 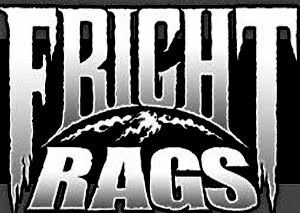 It is a fascinating excursion across a bleak, dusty landscape where there is no hope left. People just barely survive. 8. 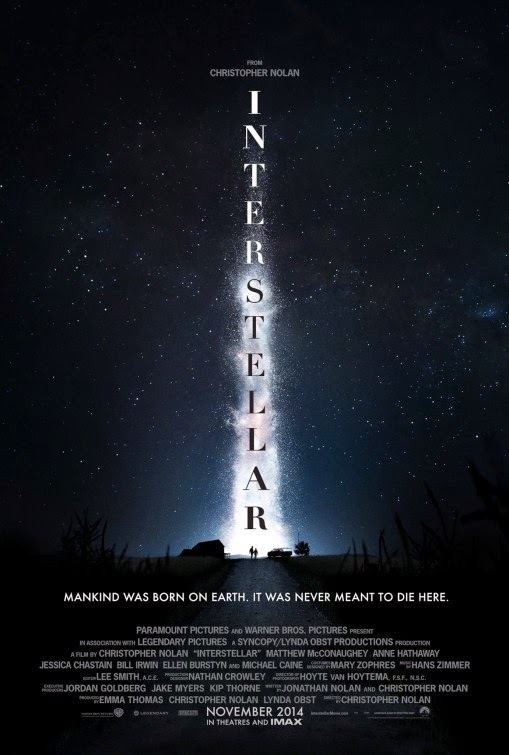 Interstellar. The movie begins simply, grows more and more involving, before jumping into something else entirely. It tantalizes the mind and goes right off the cliff into a what the...? moment that works based on what we have already been given. Nolan manages to keep it all together, with a little help from the solid cast. This is a must see on the big screen, in film if you can. It is a great blending of science and heart, and entertaining film that reminds you of the past while it looks to the future. 7. 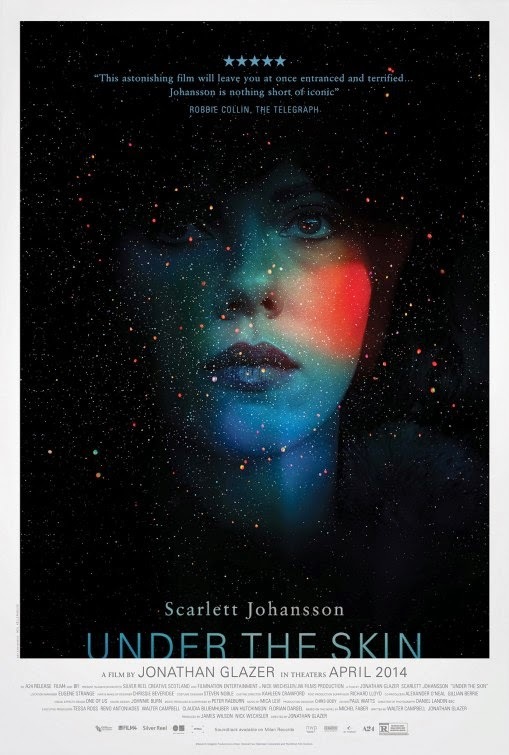 Under the Skin. Every once in awhile a movie comes along that defies explanation. A movie that does not seem to make much narrative sense. A movie whose story dances around the edge of the frame. A movie that is light on details. A movie that is challenging, if you allow it to be. A movie that is easy to make a snap judgment against it. A movie that does not make any compromises. A movie that gets under your skin, lingers there like an itch you can’t scratch. A movie that draws you in before clamping down like a vise. A movie that tempts you with danger and mystery. That is Under the Skin. 6. 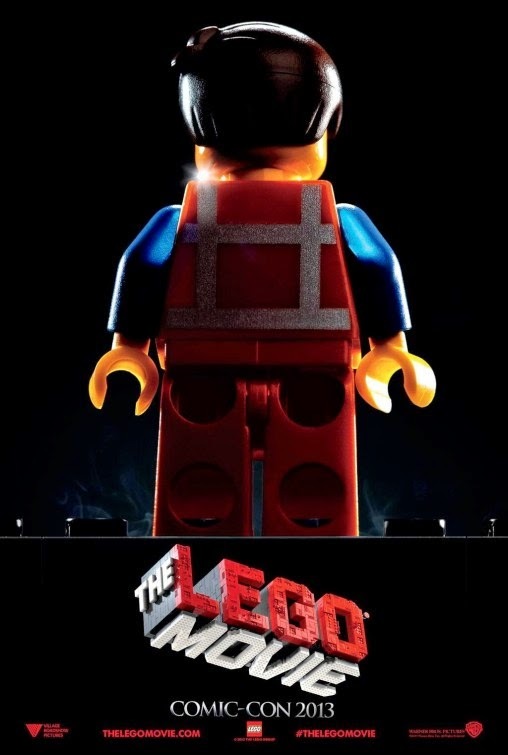 The Lego Movie. This was fantastic. It has a rather simple plot, but the way it is executed is just great. It is a movie that is the product of unfettered imagination. It is a movie that shows there is still creativity, originality, and freshness to be mined for family entertainment. It is a movie that works beyond all expectations, and invigoratingly upbeat and inventive film that is always thinking outside of the box. It is a movie that is pure stream of consciousness, weird nonsensical pieces thrown together and surprisingly work together. It is satire, it is action, it is comedy, and it has genuine emotional resonance. 5. 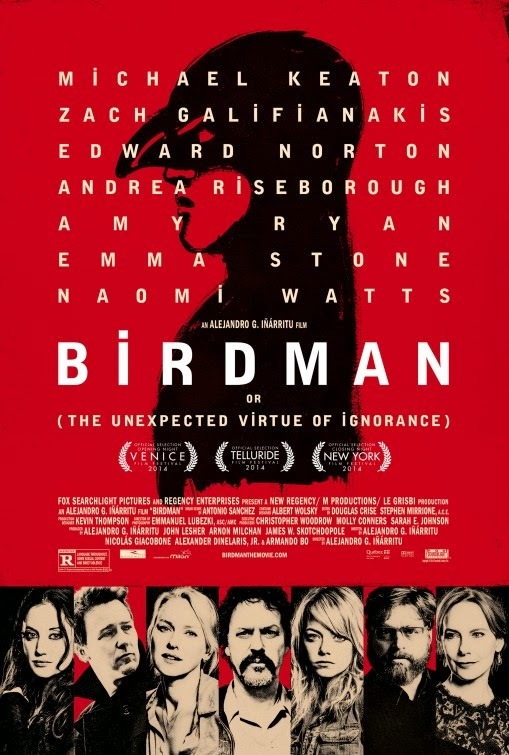 Birdman: or (The Unexpected Virtue of Ignorance). This movie looks at a man's life, confronting his relevance and self worth by examining his life's work and his personal life, actor versus celebrity, Hollywood versus Broadway, love of family versus love of the public. It is pretentious in an unpretentious way. It is a grand film, bravura filmmaking, perhaps even a little bit daring. With Birdman we have the blending of reality and fantasy. Yes, at times other characters own the screen, but it really is Riggan's story. We see the struggle prey at the edges of his sanity, slowly fraying it over the course of the two-hour movie. It is fascinating to watch, especially where the reality and the fantasy become the same thing, like the flying cab ride, or when the voice in Riggan's head pops in to offer a different perspective. Everything is filtered through Riggan's psyche and I do not believe we can trust the moments we spend away from him. Excellent film. 4. Snowpiercer. 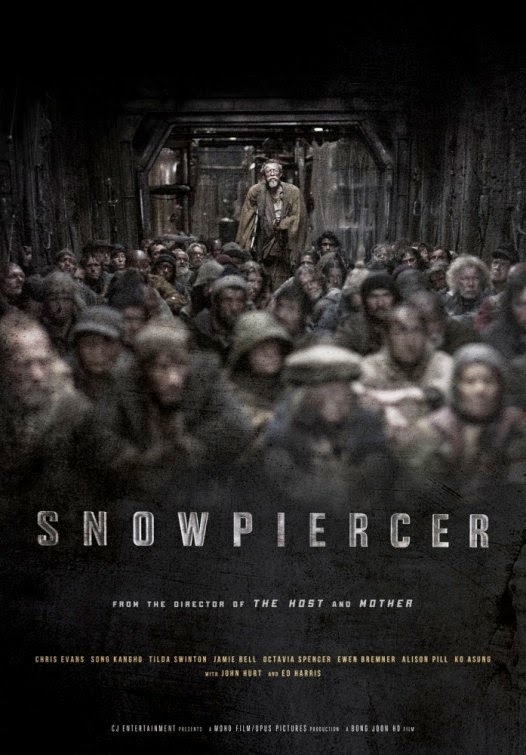 Snowpiercer is an endlessly fascinating film that does something that many other big action type films forget to do, and that is be entertaining as well as intelligent. These things are not mutually exclusive. This is why we need to celebrate it when we find it. Snowpiercer is a big, explosive, crowd pleasing science fiction/action film, but it is also smart and has a lot to say. It is a movie that tries hard to not necessarily be believable, but simply be believed. That is all this movie needs to be. It is not a literally believable movie, but it is easy to be believed within its own creation. It is endlessly fascinating and allows for as much or as little to be read into it as you want. 3. 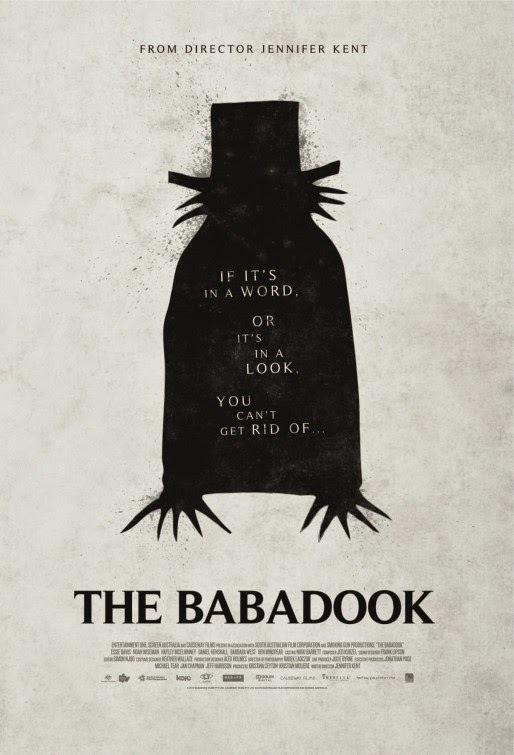 The Babadook. Possibly the most hyped horror upon its limited release this year, it is a movie that is deserving all of it. This is a movie that takes its time to unfold, making you think one thing while being something completely different. It is not an overly complex film, yet it pays to pay attention. This is a movie that involves, holds the eye, and leaves you feeling just completely weirded out. Once you put the pieces together, the bigger picture begins to change. The reality of the horror begins to take shape. This is one of those movies where everything works in unison, from the wonderfully shot images, to the claustrophobic atmosphere, the fantastic performances, and, well, everything. It is a movie that just works, it wrangles the nerves, holds the eye, and just manages to scare just enough. 2. 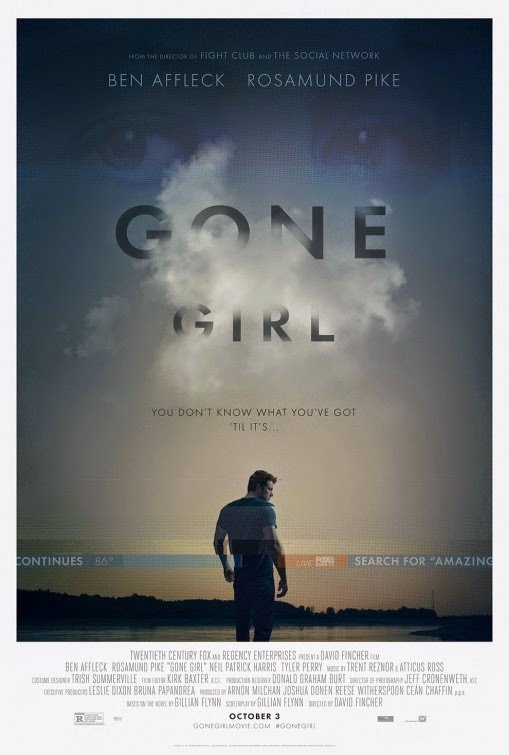 Gone Girl. It is a movie that reveals a lot about relationships, how people can do things, things they are not proud of, make mistakes, demand the wrong things, expect the wrong things, and show how the public's reaction can be swayed, and how the media plays a part in things. Of course, there is more, but you really need to see it. Wow. What else can I say? David Fincher is a masterful director. Sure, his movies may not all be perfect, but the guy is an amazing talent and nowhere is it on display better than in Gone Girl. With this movie the audience is played like a harp from hell. I had no idea just how far this movie would go. Simply put, the trailers do not even hint at what goes on in this movie. 1. 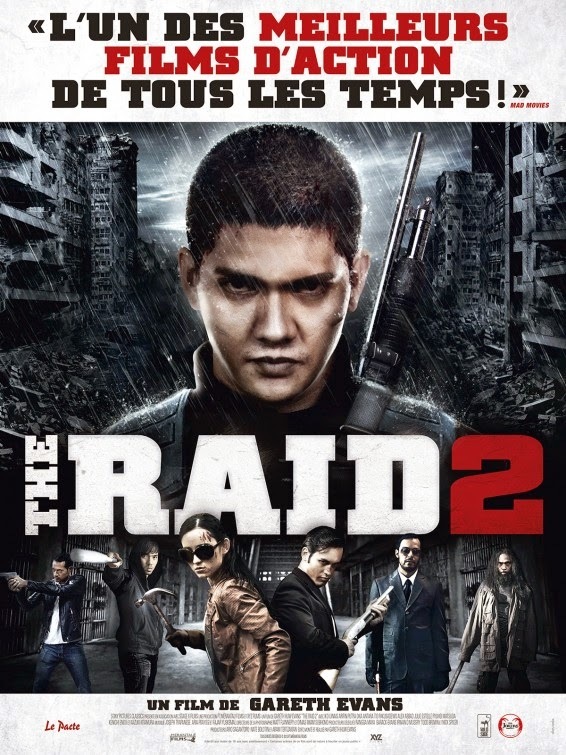 The Raid 2. This is an insane movie. This is the real deal. It is one of the best action films I have seen in some time. However, it is also a fantastic crime story. Clocking in at two and a half hours, you may think it is excessive, but it isn't. It has great pacing, the fights are not there to just have a fight, they all serve a purpose and there is great variety to them. The cinematography and editing are fantastic, there are a lot of long takes and it is cut in a way that lets you see the action. It is true that the story told in The Raid 2 is not the most original. Still, it is executed in a way that makes its originality moot. It is told realistically, convincingly and is punctuated by some of the most violent and insanely brutal fights I have seen in a long time. There is a rather operatic flow to the movie. It takes its time to tell its story, it gives us characters, it gives us depth, it gives us brutality. It gives us a crime epic. It gives us deception, double crosses, surprising new enemies, surprising new friends, and a coats it with a layer of grime, letting it sink in to wonderful effect. There you have it. I hope you like at least a couple of these movies.